Both the omega-6 and omega-3 fatty acids belong to a large subclass of polyunsaturated fats this is where the word 'essential' comes in because they are required for optimal health yet we cannot produce them in the body, as they must be obtained from diet. Their differences lie in their chemical structure and their roles in the body. As polyunsaturated fatty acids, both the omega-6 and the omega-3 families have more than one double bond in the carbon chain. All fatty acids in the omega-6 family contain their first double bond between the 6th and 7th carbon atoms (counted from the methyl (CH3) terminal carbon atom and the omega-3 family of fatty acids have their first double bond between the 3rd and 4th carbon atom. Both families of fatty acids are vital components of membranes and are used by the body in the production of eicosanoids, a vast range of highly bioactive substances (prostaglandins, leukotrienes, and lipoxins) but the activity of these metabolites varies. For example, the eicosanoids derived from omega-6 are in general more active (or reactive) than those produced from omega-3 and omega-6 is aggregatory whereas oega-6 is pro-aggregatory. 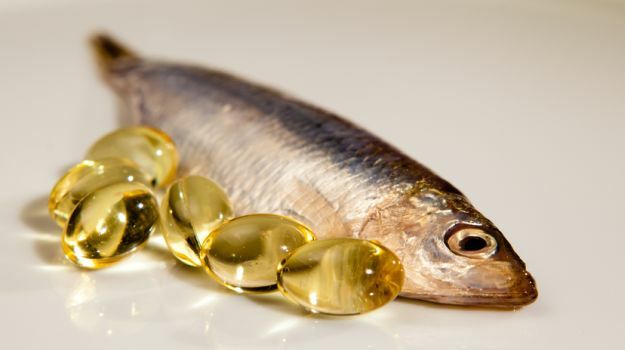 In otherwords, the omega-3s have anti-inflammatory benefits and help prevent heart disease, whereas omega-6s lower blood cholesterol and support the skin. Like all fats, EFAs provide energy. Their calorific value is similar to other fats and oils but, unlike saturated fats, they have important health roles. In fact, as their name suggest, they are essential and must be consumed regularly as the body has limited storage for them. Both of the important EFA families - omega-6 and omega-3 - are components of nerve cells and cellular membranes. They are converted by the body into eicosanoids, leukotrienes and prostaglandins - all of which are needed on a second-by-second basis by most tissue activities in the body. If the diet is deficient in either omega-6 or omega-3 long-term degenerative illnesses will result. Cold water fish, tuna, cod liver, halibut, herring, mackerel, trout, salmon, sardines. Sunflower seeds, seed oils, corn, pumpkin seeds, sesame seeds, nuts, meat, dairy products. Before running to the vitamin store we encourage you to test for Omega-3 and 6 fatty acids by doing a simple blood test. Once you know if you’re deficient you can discuss the next steps with your doctor regarding supplementation if needed.